I and others had the pleasure of sitting in on a noon chat with the Times Picayune beat reporters, James Varney and Mike Triplett where they addressed some candid (and not so candid) questions and comments about the Saints. Here’s the transcript of the session. 11:30 Kevin Spain, TP: Hi and welcome to the Friday New Orleans Saints chat. The Times-Picayune beat reporters James Varney and Mike Triplett will be with you around noon. Go ahead and start sending in your questions and the guys will get to them when they sign in. Was Pierre Thomas held out of practice again? What do you think his odds of playing are and what are your thoughts on the Saints ground game without him? Friday October 1, 2010 12:03 Coach B. What is the status of Pierre Thomas and if he misses this week’s game, do you expect Ladell Betts to be most actively involved in the running attack as well as catching passes out of the backfield? Is P Thomas going to be playing this weekend? Seems like if he was able to come back in last week….he should be able to go this week. When you see him, is he walking with a limp? Thank you! Did Pierre Thomas practice today and what are his chances for Sunday? If he can’t go, how will the RB duties be split between Betts and Ivory? 12:05 James Varney, TP: OK, Pierre Thomas was at practice but his status is unclear until Sean Payton discusses it later today. Obviously the fact he was even on the field, which he has not been the last couple of days, would indicate there is a chance he will play Sunday. But you’ve got to think it’s still iffy, and even if he is on the active roster he can’t possibly be close to 100 percent and thus the Saints will have to tweak their game plan to reflect that. Whether that means more carries for Ivory, more carries for Betts, or an on-field role for a DeShawn Wynne called up from the practice squad remains to be seen. did arrington get picked up off waivers? can we re sign him to the practice squad? 12:06 James Varney, TP: Arrington did get picked up again by the Saints after clearing waivers and should be on the practice squad roster later today. He was at practice this morning. Not at practice, and thus indicating he must have been waived, was WR Montez Billings. 12:09 James Varney, TP: Well, Sharper can’t give you that chance now, Ryan, because he remains on the PUP list for the next two games. I still haven’t seen Sharper run in pads since the Super Bowl. He seems better now, but he doesn’t do – at least I never see him do in that sliver of practice we get to watch – any of the agility or speed kind of drills he sometimes did during the preseason. All that said, I would agree Jenkins has been late on a couple of plays, with the most damaging example coming on the Atlanta touchdown to White. Payton was quite steamed about that after the game. I’m not sure, however, he never anticipates what is happening. He has closed the gap on several plays unfolding in front of him. So I think most of that is still inexperience. We’ve talked about Jenkins before in these chats and my opinion at this point remains that I am willing to take Payton and Gregg Williams at their word with Jenkins, and they both have nothing but high praise for the guy. Am I really OK??? Will I be able to withstand some hits on Sunday??? 12:11 James Varney, TP: Drew, it’s a privilege having you in the chat, really. You look quite smooth to me at practice the last three days and I think you really are OK and will be something very close to 100 percent Sunday. Now, I wish I could guarantee your knee could withstand “some hits,” but as Reggie Bush was saying yesterday, sometimes it’s the glancing, seemingly innocuous hits that do the damage. So I can’t guarantee that. But it’s not something I would be unduly worried about, either. in light of the 19 play drive last week, i’m curious as to why everyone seems to consider this type of thing a positive as in “wearing down the defense”. Isn’t it more likely to wear down the offense since there are (generally speaking) less substitutions possible on offense than defense? 12:16 James Varney, TP: I confess to some confusion regarding your question, Rick. Generally speaking it’s easier for the offense to substitute than the defense during a possession. Peyton Manning wrote the current best selling edition on that. The offense loves to deny the defense the chance to make its subs and get its matchups. That said, I agree with you that the notion a 19-play scoring drive is a positive for the defense is puzzling. Payton addressed that topic yesterday and said he didn’t consider any drive in which the other team gets 7 points much of a positive for his team. And I would think the defense would be quite demoralized, if not gassed, by its obvious inability to get off the field on fourth down. I think part of the notion there is something positive there is it does show the other team isn’t running all over you. You just don’t face that many third downs if you’re ripping off gains. So in that respect it shows the sky wasn’t falling with the Saints run defense. But the fact Atlanta converted regardless of distance was unsettling. Looks like Payton and Brees or a little tenative this year as compared to last. I say let it all hang out and play like you did when you were not the champs. That how you became the champs. 12:19 Mike Triplett, TP: I see your point, Richard, but I think the defenses have been dictating that more conservative approach so far this year. Minnesota, especially, sat back in coverage and practically dared the Saints to run the ball (which they did with ease in the second half). Then San Francisco simply played great up front with one of the best front 7s in the NFL. And the Saints actually moved the ball well against Atlanta with some of those big plays you’ve been missing, but only had 27 minutes of possession, including overtime. So I think once we see the Saints finally start facing a couple easier opponents, we’ll see a few more of those 30-point games. I know the idea of “taking what the defense gives you” sounds boring and passive. But it’s darn near led to a 3-0 record, with the Saints barely turning the ball over this year. Remember, it wasn’t long ago that Sean Payton was widely criticized for being too free-wheeling and aggressive and too much of a gambler. You can’t have it both ways. Why do we consistently struggle with Carolina? 12:22 Mike Triplett, TP: Hey HoodRat. Well, for one thing, a lot of teams struggled with Carolina over the past five years or so. They’ve consistently had a ton of talent on offense and defense before the bottom finally dropped out this offseason. … But I think the Saints, in particular, struggled with how physical the Panthers were on both sides of the ball — a team that could run the ball with power, pressure the quarterback and manhandle receivers. … It wasn’t until last year that the Saints started to punch teams like that back in the mouths, with a more consistent rushing attack of their own and a more aggressive mentality on defense. I think the running combo of DeAngelo Williams and Jonathan Stewart remains a threat, but other than that, the Panthers don’t have the same matchup advantages they used to coming into this game. I thank this would be a great game to change the rush defense a little and insert Junior G in on pass rush downs. 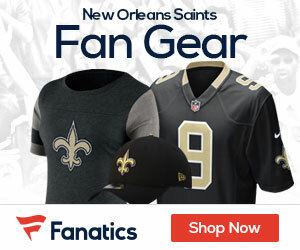 Why didn’t the Saints address the DLine or Lb’ers corp in the draft? Both needed to be addressed because we couldn’t stop the run last year either. Is it Junior Galette time yet? Are there any indications that Bobby McCray could be re-signed with the Saints? It’s no secret the Saints are getting very little pressure on QB’s so far this season. With that said do you think the Saints might give Jr. Gallette a shot in certain packages for the Carolina game? 1. Haven’t heard a thing about Pressley coming up and getting in the mix. 2. No indications Bobby McCray will be resigned and I very much doubt that will happen. McCray tweeted that he had a big night at the dining table at Houston’s last night, but other than that hasn’t popped up on the Saints radar. I think we can read the writing on the wall there. 3. Junior Galette is an interesting case, and with a rookie QB and a struggling passing attack, this might be a good game to bring him into the mix. I think they worried about him against more accomplished QBs like Ryan and, even, Alex Smith. We’ve seen him here and there with the LB unit, although his locker remains with the DL grouping, and he sure seems like a guy that might be able to make the rush more dynamic. They probably don’t change their approach, but there’s a better chance they do this Sunday than last. 4. I think the Saints felt like they did shore up a bit with the acquistions of Alex Brown and Jimmy Wilkerson. Not clear either has panned out as hoped – give the edge to Brown there, certainly – but Mickey Loomis would argue the Saints were not inactive there. Reggie Bush’s broken fibula was said to put him out 4-6 weeks. There is a lot of speculation mainly on Bush’s part that he may play much sooner than that time frame. Is there anything else time wise or observational wise you can add to this? 12:27 Mike Triplett, TP: Well, Jeremy, it’s already too late for Bush to come back “WAY” ahead of schedule. He’s already missed two weeks. But maybe he’ll be able to start running around and putting pressure on the leg by next week and be closer to the 4 week return than the 6 week return. … We won’t really know until we see him back out on the practice field. But Bush sounds optimistic about how the recovery has gone so far. 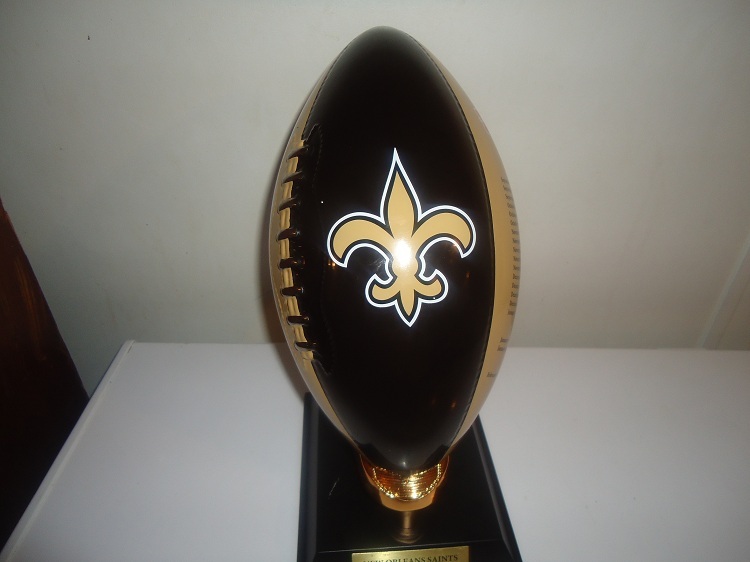 Saints could not have played worse sunday & Atlanta played its best game still we win with chip shot field goal.I don’t see the power shift yet.We can play better Atlanta can’t. 12:30 Mike Triplett, TP: Hey Paul, I don’t think I agree with that assessment. … The Saints did lose the turnover battle, 3-1, which has been uncharacteristic for them lately. But they still came up with some big plays (Lance Moore’s 80-yard catch and 72-yard punt return … the fortunate fumble recovery on the punt return). And what Atlanta did was no fluke. That’s how the Falcons offense is built — they try to control the clock with the run game, mid-range passes and play-action strikes to Roddy White downfield. Matt Ryan isn’t an explosive quarterback, but he’s very steady and makes quick throws and avoids turnovers. I don’t think the power has shifted yet. I think the Saints still have the better team overall. But Atlanta’s not going away this year. And the Falcons have a pretty nice schedule. By the time they square off in Week 16 on Monday night in Atlanta, I think it might be a must-win game for the Saints to win the NFC South. 12:31 Mike Triplett, TP: the questions aren’t showing up on my profoundly messed up laptop anymore. but here’s an answer to one about whether Carney will be active for “chip shots” and Hartley for long ones: Extremely unlikely, I would say. They’ll only have 1 kicker active, especially if they have to jigger the RB unit. 12:31 James Varney, TP: I’m not even MIke Triplett! Do you think the Saints running game is in trouble or will it all come together at some point? The O Line was spectacular against Minnesota, but since then it hasn’t been as effective for some reason. Regaurding our current running back situation, with our top guys out. I havent seen betts or wynn play at all. So my question is have you seen these guys at practice does betts look fast and healthy and with ivory not at a hundred percent will wynn dress and maybe play, how does he look running the ball? Thanks! Where is mark Ingram? Was he put on the PUP list along with sharper! 12:36 James Varney, TP: Betts and Wynne seem fine, health-wise. Clearly neither player has seen the field much recently and you gotta figure rust would be a factor. If I had to bet cash money, I would say Thomas is a longshot and Betts, at least, will have to carry the ball some. The Saints only ran the ball 16 times between Thomas and Ivory last week, and surely they could substitute Betts or Wynne in that small amount. 12:36 James Varney, TP: guys – sorry that answer got cut off. My laptop is a mess – IT can’t help. Payton is coming soon so we’ll have to wrap this up. Thanks for coming! Is it just me or is Jabari Greer playing a little slower? Or, is it a case of our DB’s having to make up for our porous pass rush? I actually think that’s one area of the Saints’ game that doesn’t really deserve much criticism this year. Teams have not been getting the ball downfield to receivers much this season. Greer did get beat on a rare 22-yard touchdown pass against Roddy White in the fourth quarter Sunday, but White’s no slouch. In fact, Greer has allowed only two TD passes as a Saint, and they were both to White. Greer also let San Francisco tight end Vernon Davis get past him for a deep ball (which shows you how freakishly fast Davis is for a guy of his size). But overall, the Saints are not giving up many deep passes to receivers, and I think that’s one of their great strengths. Atlanta had to settle for a lot of runs and short throws. The only problem was, the Falcons kept churning out long drives that way without the Saints getting them off the field or forcing any turnovers. It will be an interesting matchup this week against Steve Smith. The Saints will probably use at least one extra safety in the box to stop the run, so Greer and Tracy Porter might wind up in single coverage often. 12:42 Mike Triplett, TP: Now this time, we’re really signing off. Thanks again for all the questions. And I’ll be back to answer one more in a video mailbag segment this afternoon.